Judge Fairbanks is dead. John Fairbanks, familiarly known in Austin and Mower County as Judge Fairbanks through his fifteen years of service as justice of the peace, died at his home, 700 Baldwin street at 8 0'-clock this morning of uremia from which he has been suffering for several weeks. Born in Bethel, Vt., on March 24, 1840, Mr. Fairbanks spent his boyhood days among the hills of the little New England town and on October 8, 1863 was married to Maria M. Neuman [Newman] at St. Johnsbury, Vt., coming to Minnesota and Mower County seven years later. As farmer, carpenter and soldier in the civil war, Judge Fairbanks was schooled in the elements that constitute worthy training for the duties of a civil court and his careful, conscientious and fair decisions were often the topic of conversation among those who were brought before him as well as his friends. Besides his aged wife, the following survive their father's death: Mrs. Ed. Barr, who has lived with her parents since Mr. Barr's death; Mrs. L. Peaslee of Stillwater; Mrs. John Stimpson of Austin; C. J. Fairbanks of Yakima Wash.; L. J. Fairbanks of Los Angeles, Cal. 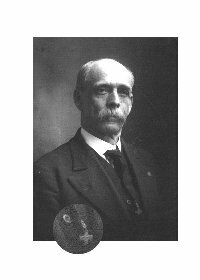 ; and L. H. Fairbanks of Fort Dodge, Ia. Two daughters, Mrs. Earl Penabaker and Mrs. F. D. Brown died six and four years ago respectively. One brother, Charles, of Claremont N. H. and a sister Mrs. Adelaid Denison of Riverside, Cal., also survive. Funeral services will be conducted at a date later to be determined by the Rev. J. McFarlane of the Baptist church of which Judge Fairbanks has been a life long member. ...At the time I was at Chancellorsville with my regiment [in Sickles' III Corps], Luke and John were eight miles below, at Fredericksburg, Va., where the … VI Corps, under command of Gen. Sedgwick, had crossed the Rappahannock to undertake what Gen Burnside had failed to do, namely carry the Heights and flank Lee's army. It was in this fight, known as the 2nd Fredericksburg [May 3, 1863], that my brother John was severely wounded, while leading his regiment in the great charge, against a horde of rebels, well covered by breastworks. [John's regiment was in the column led by Col. T. O. Seaver that stormed and carried Lee's Hill, a commanding artillery position south of Marye's Heights.] He fell shouting to the men, "come on". The minie ball entered the left side of his neck as close to the jugular vein as it could without cutting it, passing through and lodging under the skin on the opposite side. Brother Luke, who was the 1st Sergeant of the company, assisted in getting John back a little to the rear, and left him, believing that he was mortally wounded. ...First. Are you married? If so, please state your wife's full name and her maiden name. ...I certify that have carefully examined the said Corp. John Fairbanks of Captain Drew's Company, and find him incapable of performing the duties of a soldier because of a gun shot wound of the neck & right shoulder disabling him to such an extent as to prevent his performing duty in the Invalid Corps & so affecting his health strength activity & constitution as almost entirely to prevent his labouring to earn his subsistence. The causes or origins of this, were the casualities of the Service & in my opinion the disability is two-thirds of total. Brig Genl and A. A. Pro. Ml. Genl.